it’s late and your mama don’t know. so recently things have been pretty fast-paced for me. days i’ve long awaited for have passed me by, and though i was so scared that i was running out of reasons to live, i’m finding happiness in every corner of my dusty head space. i’ve been thinking about the meaning of summer, how lazy and melancholic it felt when i was younger, how romances always bloom faster, and how all the songs on the radio were written to be played loud while driving recklessly through the night. i would do anything to get that feeling back. this summer passed me at the speed of light, and it scares me that pretty soon, the words “summer break” will be just a memory from a lifetime ago. maybe it’s just because everything i do stems from my childishness and i’m desperately holding onto my youthfulness and naivety. i don’t know why it is, but smiling’s been a lot eaiser these days, and i thank God. rookie of the year – what is love? ok, ok. it’s true, i’m crushing on her SO BAD. she’s the cutest, and her music video (see link) is so adorable. i don’t care if she’s completely not my type (more on that later), and is younger, which is usually a big turn-off for me (more on THAT later), she makes me feel younger, she makes me feel happier. but this song is really so innocently delirious. remember the days when even breaking curfew felt so taboo and refreshing? how i long for the days where everyone was satisfied with just one stolen kiss. so everyone, go listen to it, be happy, and tell your loved ones how important they are to you. yes, i’m in an extra cheesy mood today. even though worked sucked this morning (why does everyone in the world want a strawberry smoothie? ), the sun is bright, and i’m rocking my new, crispy clean forces. i’ve always been wary of air force one’s, especially since everyone and their baby mama are rockin’ a pair. 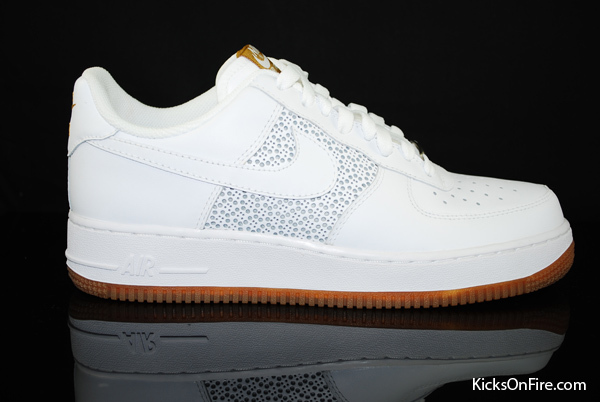 i’ve even gone as far to purchasing AF1’s on three separate occasions, only to return them each time. but this colorway just caught my eye immediately. maybe it’s the perforated side panel, or the gold detailing, or even the clean and fresh white/white combo, but something about the design makes me fall in love. 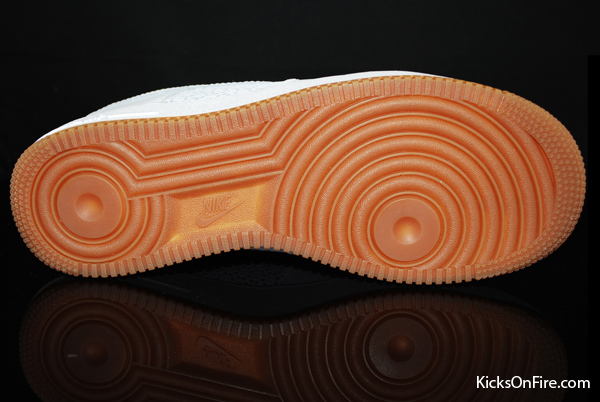 but the pièces de résistance of these beauties is definitely its least visible section – GUM SOLES BABY! sneakerheads out there know that it’s not common for nike to utilize gumsoles, especially on AF1’s, i’ve been waiting years for this and now it’s finally MINE! ALL MINE! on a off note, i accompanied my family to watch Mamma Mia! the movie (not my idea, i SWEAR). and though i was surrounding by 70 year-old grandmas who hacked and cough every two minutes, i absolutely LOVED it. i really respect ABBA’s compositional skills and pop sensability, and i’ve always been a sucker for the dramatic flair and over-the-top antics and visuals of musicals. meryl streep still scares me. though there were definitely a lot of weak parts (awkward dancing by the stars, pierce brosnan attempts to sing passionately but just ends up looking constipated, meryl streep looking like she’s 103 years old), the film adaptation of the musical more than made up with its beautiful scenic shots, brillilant ensemble choreography, and its leading lady – Amanda Seyfried. She somehow managed to escape from being typecasted as a half-retarded it-girl wannabe by the teenage darling film, Mean Girls, and absolutely SHINES on screen. She absolutely oozes carefreeness and joy and seems perfectly matched to the film’s paradise setting on one of Greece’s surrounding islands. i really enjoyed watching Mamma Mia! and left the theater in a ecstatic mood. i hope all of you are living to the fullest and smiling so wide your cheeks hurt. ~ by sometimelove on August 5, 2008. TAYLOR I THINK YOUR SO BEAUTIFUL, AND I’VE ALWAYS WANTED TO MEET YOU!!! IT’S LIKE MY DREAM!!!!! absolut vanilia on Hope for ye who enter?